HomeNew BikesBike NewsKTM 390 Adventure: Should You Wait For It, Or Buy One Of These? KTM 390 Adventure: Should You Wait For It, Or Buy One Of These? KTM’s adventure bike is still months away from launch. Should you wait for it or just go ahead and buy one of these great alternatives? KTM’s upcoming adventure motorcycle, the 390 Adventure, is one of the most hotly-anticipated bikes in India. We expect the 390 Adventure to be powered by the same 373cc, liquid-cooled single-cylinder motor as the 390 Duke, but KTM may tweak it a bit for better off-road ability. 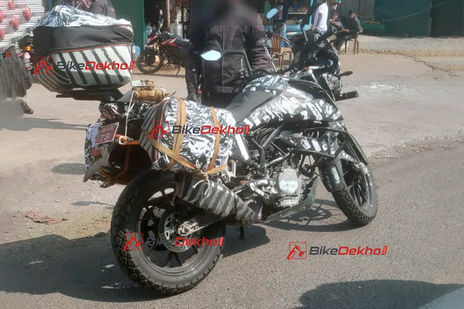 The adventure motorcycle has been spotted multiple times on Indian roads, and we believe that it’s set for making a debut in India in either late 2019, or early 2020. Of course, that is a long time to wait, and we’re sure that a lot of you have your patience wearing thin waiting for this bike to launch here. We expect the 390 Adventure to retail at Rs 3 lakh (ex-showroom). While the 390 Adventure does hold a lot of promise of off-road ability considering KTM’s rally pedigree, those of you who’re simply tired of waiting can look at these options, which you can get right now, instead. The Royal Enfield Himalayan is one of the most potent adventure motorcycles currently available in India. And at Rs 1.8 lakh (ex-showroom Delhi), it’s the most affordable adventure bike you can get. Also, Royal Enfield has updated the Himalayan with a BSIV-compliant engine, which is smoother than before. Now, we know for sure that the 411cc single-cylinder engine won’t really be a match for the 390 Adventure’s motor when it comes to performance - after all, 24.5PS vs 43.5PS of power is nothing to scoff at. But we believe the RE will have a few advantages of its own. First of all, the KTM is going to be much more expensive. Then, if the test mules are to be believed, the 390 Adventure will come with 19-inch front and 17-inch rear alloy wheels, while the Himalayan sports 21-inch front and 17-inch rear wire spoke wheels - the latter being better for off road use. The Himalayan is also a masterstroke of packaging, offering a massive 220mm of ground clearance, coupled with a seat height of just 800mm. So, great for tackling big rocks in the dirt, and easy for shorter riders at the same time. We are fairly certain that the 390 Adventure will have a much taller seat height. But the best part is that the Himalayan is readily available at your nearest RE showroom with hardly any waiting period. At Rs 4.69 lakh (ex-showroom Delhi), the Kawasaki Versys X 300 is by far the most expensive of this lot. In fact, the Versys X 300 is around Rs 2.9 lakh more expensive than the Himalayan. And we’re fairly certain that KTM is going to price the 390 Adventure well under this price point. On top of that, Kawasaki service and spare parts aren’t exactly known to be cheap, while KTM has demonstrated with its current bikes that their running costs don’t burn a hole in your pocket. However, that doesn’t detract from the fact that the Versys X 300 is a fun motorcycle to ride. It feels good on a highway due to the rev-happy nature of its parallel-twin motor. Off the road though, it’s going to be Advantage, KTM considering that the X 300’s peaky power delivery needs you to keep the motor constantly on the boil to extract performance out of it. No such trouble with the KTM motor. Just like Versys X 300, the BMW G 310 GS has a premium price tag, and its service and spares cost more than the others as well. The adventure motorcycle retails ar Rs 3.49 lakh (ex-showroom Delhi). 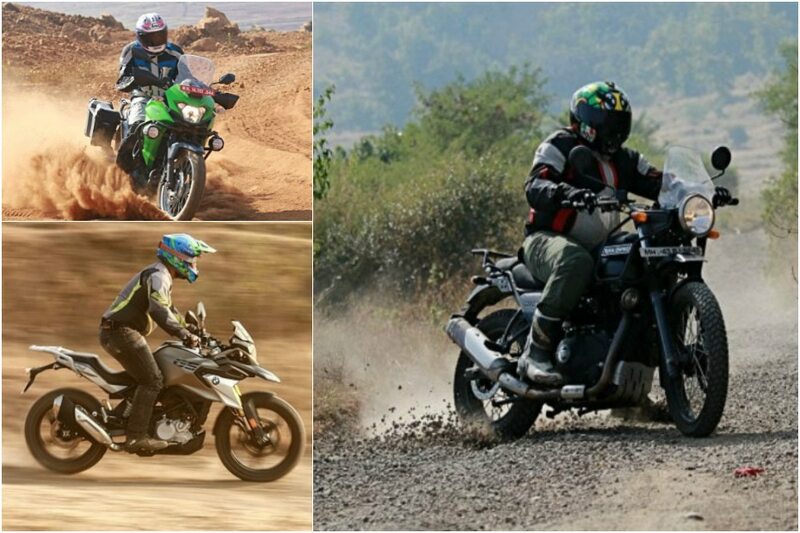 However, the G 310 GS also exudes a feeling of premiumness that the others in this list don’t. And we believe, based on the current crop of KTM’s bikes in India, that the 390 Adventure won’t be able to match the GS in this department. The switches, the build quality, the materials which are used, all feel top notch. Also, you get BMW’s badge of reliability. When it comes to performance though, the 313cc single-cylinder motor is not the most refined engine, nor will it be able to match the KTM’s motor in terms of performance. But the BMW does offer a fairly comfortable seating position and a soft and cushy suspension setup that will iron out most bumps on the road. So, at least out on the highway, as long as you’re not trying to maintain very high speeds, the G 310 GS will be a fairly faithful companion.